St Luke’s Anglican Church Maylands has become the latest in a string of Western Australian churches to win environmental awards. On Sunday 2nd of June 2013, Five Leaf Eco-Awards founder Jessica Morthorpe presented St Luke’s with two awards, the Basic Certificate and the Eco-Worship Award. This awards recognise their environmental work, including the installation of solar panels, establishment of a community garden and Op Shop, and participation in a bell ringing for climate change, the ‘Hot Gospel’ lecture series, Sustainable September and a range of other community actions. In 2011 the congregation’s journey was marred by tragedy when the tragic death of a member of their Environment Committee deeply saddened the close-knit parish community. The church has not given up though, and a lot of determination and hard work has made Sunday’s awards possible. Five Leaf Eco-Awards founder and director Jessica Morthorpe was present to award St Luke’s at their regular Sunday service. Ms Morthorpe said, “I’m very happy to be able to reward another church for their environmental action today. 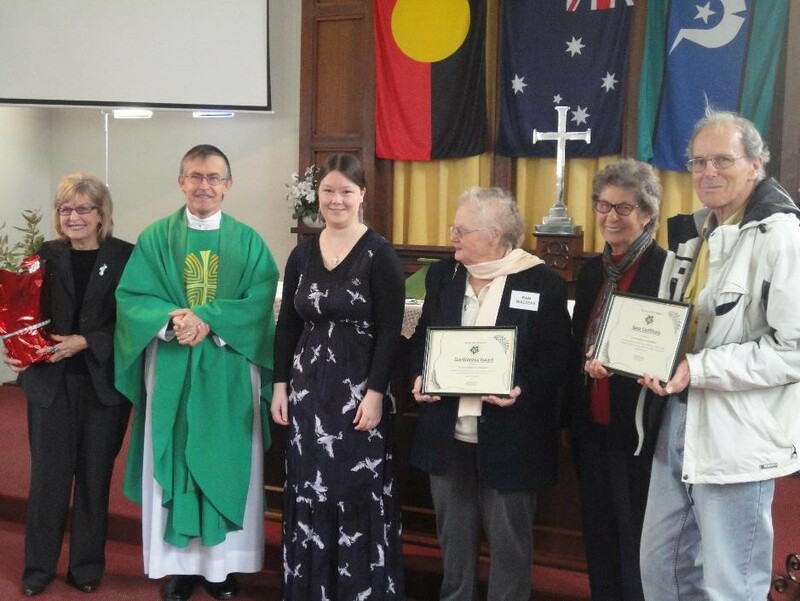 The presentation of these awards makes St Luke’s Anglican Church Maylands only the seventh church in Perth to receive a Five Leaf Eco-Award, and it’s wonderful to recognise their hard work and determination. The Five Leaf Eco-Awards program is an ecumenical environmental change initiative for churches and religious organisations founded in 2008 to assist, inspire and reward churches for environmental action. The Five Leaf Eco-Awards are non- competitive, with churches completing task from a list of flexible criteria to earn each certificate. There are currently six awards of varying difficulty available. The Five Leaf Eco-Awards operate nationally and at the moment there are 27 churches involved. To see the photo and story in the Anglican Messenger visit: http://issuu.com/perthdiocese/docs/messenger_-_july_2013 and see page 27.